Gettysburg strives to curb violence on campus | The Gettysburgian. Whether it is your senior year or you are stepping on campus for the first time this fall, there are a number of ways to get involved and make a positive impact on your Gettysburg community. On Aug. 13, you received an important email from Dean Ramsey and the Office of College Life—I encourage you to read (and re-read) that important message about updates and community standards for the Fall 2015 semester. In particular, I urge you to pay close attention to the information about Title IX and Violence Prevention. As many of you know, Gettysburg College is not immune to situations of sexual violence, dating violence, and stalking, and we have been working hard to improve our campus climate and response to these issue. For one, we implemented rigorous training for faculty, staff, and students, and will continue that work this year and beyond. During the 2013 calendar year, there were 10 criminal sexual offenses of-ficially reported to the college. During that time, only one report was submitted by a third-party, or someone who observed the incident. However, in the 2014 calendar year— after our inten-sive training was implemented— thirteen third-party reports were filed and 24 criminal sexual offenses were officially reported to the college. These numbers do not include confidential reports made to the Health and Counseling Center or to any off campus confidential reporting resource. This tells us that an increase in training is in fact leading to greater awareness and an increase in the number of incidents that are reported and investigated. •Attend a Green Dot training: This bystander-based program emphasizes the importance of intervening so we can measurably and systematically reduce violence within our community and keep all members of our community safe. Save the date now for our first training on Monday, Sept. 21 from 1-5pm in CUB 260. Apple Hall, this space houses the Women’s Center and LGBTQA Advocacy and Education. We envision a campus community where women and LGBTQA students and the people who support them can thrive, be safe and feel proud to call Gettysburg College their home. 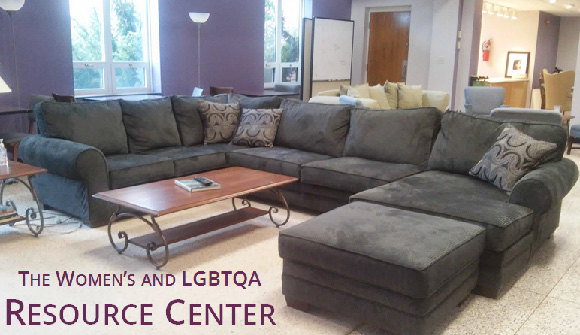 This space is for everyone and we encourage you to visit and learn more about violence prevention. •Complete your campus climate survey: It is never too early to begin thinking about ways to improve our campus culture. Be sure to take the survey you’ll receive via email in March. In the meantime, get involved in shaping that culture by getting involved. •Volunteer: The best way to get involved is to volunteer. Look for opportunities through the Violence Prevention office by visiting www.gettysburg.edu/titleix and reach out about things that interest you. •Join Discussions: There is a strong connection between social justice and violence protection. Participate in the annual Social Justice Institute being held Oct. 13th and Jan. 29th – 30th. Engage in this important dialogue by attending eRace and nGender discussions on campus. Or, you might consider joining the Women’s Center for “iLove,” a conversation exploring strategies to develop and maintain healthy relationships. Go to www.gettysburg.edu/so-cialjustice/ for more information on these and other discussion groups or workshops. These are just a few suggestions – the truth is, we can not do this without your involvement and ownership. Whether you dedicate a few hours to attend or lead a Green Dot training, or only have five minutes, your support is crucial. If you have any questions about any of the above or want to learn more about how you can get involved, please get in touch by visiting room 220 of the College Union Building, emailing jmccary@gettysburg. edu, or calling (717)337-6900.